INCOMING | PCBA | FINAL Q.C. The a3Di is not a 3D AOI (Automated Optical Inspection) system. It is a revolutionary laser based metrology measurement system that enables you to find faults on your populated PCBAs like never before. The extremely accurate measurement capabilities of under a micron resolution in the Z axis will give you the confidence that if there is an issue on your PCBA, a3Di will find it. Find manufacturing issues such as board warp, device co-planarity, foreign objects, pin height, solder joint and coating issues that affect the reliability of your product. a3Di will help lower the risk of field failures and expensive recall events that could negatively affect your brands reputation. Kick false calls into touch! a3Di does not use comparison techniques like traditional 2D and 3D AOI systems. 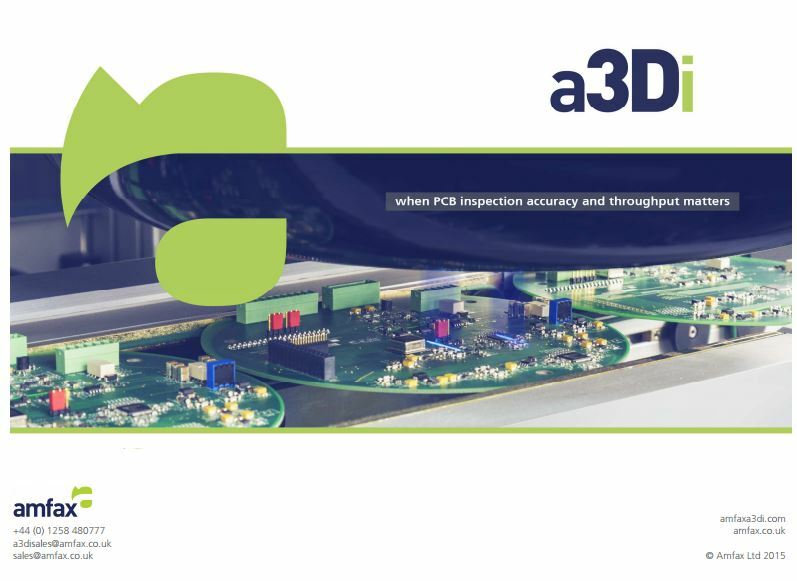 It takes absolute metrology quality 3D measurements across the whole of the PCB assembly. No area is left unmeasured. These measurements are then referenced to the original CAD data meaning that if a fault is found it is a REAL fault. The result is that no subjective operator input is required as there are NO false calls or testing delays. Quality processes start with accurate inspections. The a3Di provides extensive process data to feed an SPC system the information required to quickly verify and validate that your assembly operations can pass a customer quality audit with minimal data collection effort.